Dutch designer and technologist Rein van der Mast wanted to change the way we look at luxury writing instruments, and came up with this one-of-a-kind fountain pen. 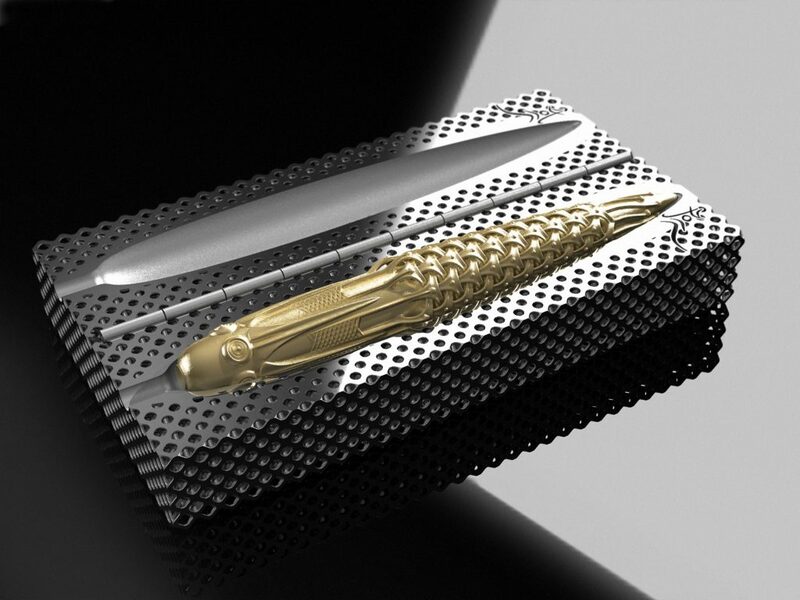 Called Spica Virginis, after the brightest star in the constellation Virgo, this luxurious pen is a world first, crafted with the help of 3D printing technology, with intricate details made from 18k solid gold. This beautiful thing was meant to resemble an ear of grain and it will be available in either 18k yellow gold as well as white gold, packing 3D printed nibs too. If you fancy titanium more than gold, since a lot lighter, with less than 1/3 of the density of gold, the Spica Virginis can be also ordered in a titanium plated version with a thick layer of 24K gold and a tiny amount of cobalt to stand the test of time even better. In the meantime, I’m sure you all understand that exclusivity and precious metals come at a price. Which is why the 18l yellow or white gold versions of the pen are priced at a cool €14,320, while a titanium version plated with a wear resistant layer of 24K gold will set you back as much as €4,960.